We saw this story when Malvolio and Octavia went to their new homes. Such a good story we had to put this on here! Hello, My name is Scally and there were certainly some very interesting things to report during my short stay at the Bobtails hotel last week. 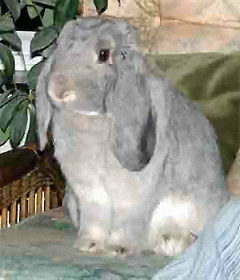 It has been an extremely sad week – two of our bravest bunnies have passed away – Taz and Bud. This is the news items that every Bobtails volunteer wishes they didn’t have to write. Oh, what a funny week it has been. First we got all excited with the sunshine on Friday and hoped that the rabbits could have a play in their runs on Sunday, and then today, it snowed so they couldn’t. Everybody was a bit strange as a result, none more so than Jim. What's all this about the temporary closure? Christmas and Foster Bunnies....Bugsy tells us all about it. All done and I'm Okay! It’s Bud, the little soldier here reporting from my day's manoeuvres at Camp Bobtails. Bursting at the seems, Big Bunny Brother and can you give Evie and babies a chance? Another dumped bunny, volunteer aunties, calendars and great...words from Dougal! Hello my bunny loving friends. It’s me again, just logging in to say hello and let you know what’s been going on in the rabbit sheds this week. I’m afraid I’ve got to get some bad news out of the way first. Big bunnies and nudgey cuddles all round. Find out what's been happening at Bobtails this week from resident rabbit Mr Scruff.